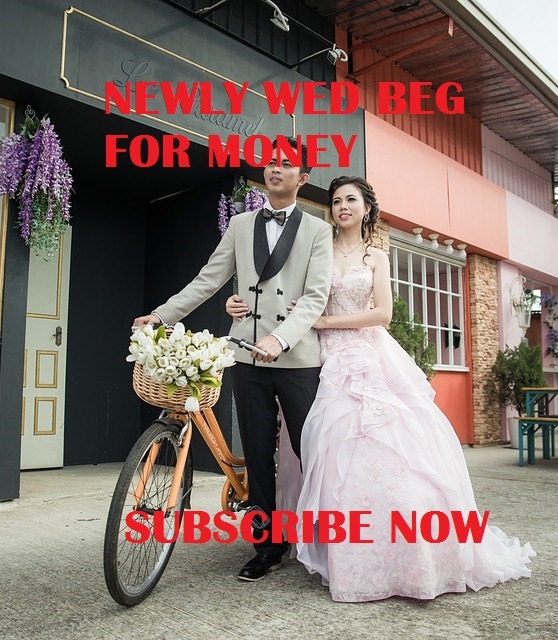 Incredible - Newlywed couple allegedly begged money to pay for their wedding Party reception, this happened in a wedding ceremony few weeks ago. I have never seen such incident before, i was confused and at the same time dumbfounded, to my greatest amusement. Now this is how the Event took place. When the wedding ceremony was on the Master of ceremony (MC), brought the couple out and stood them apart and he said "this wedding ceremony's venue was rented on credit, they need money to pay up. If you know you love this couple come and drop a thousand Naira to bail them out". Watch now! !